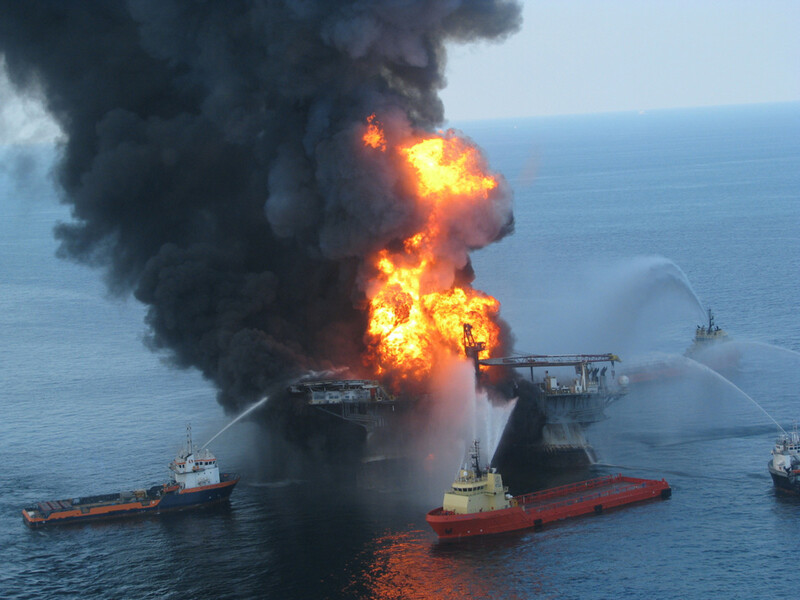 Five years after the Deepwater Horizon explosion, justice comes with an infuriating loophole. 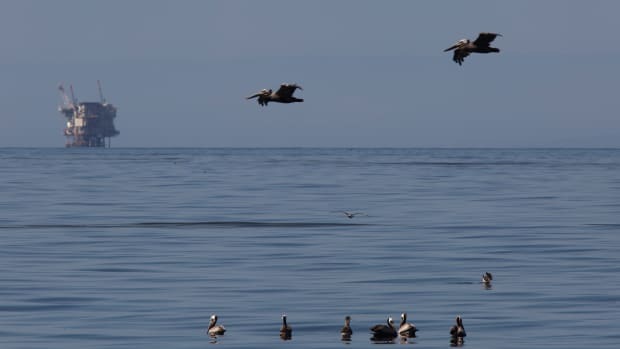 After five years, justice has finally been served for the massive oil spill that stained the Gulf of Mexico—sort of. 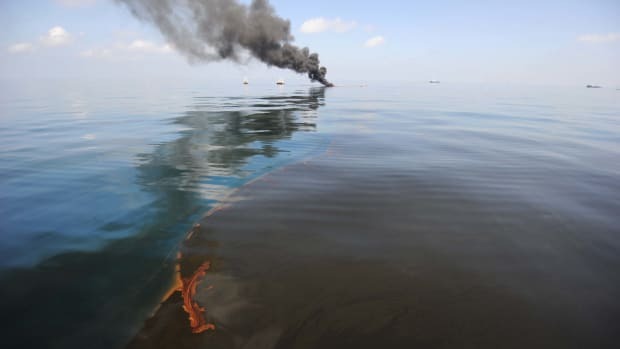 Last week, multinational oil and gas conglomerate BP reached an agreement to pay up to $18.7 billion to the United States government and five coastal states, Reuters reports. 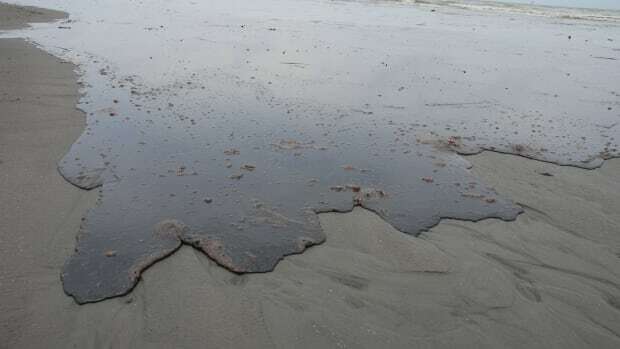 The latest penalty, which brings the company&apos;s payment to a total of $43.8 billion, resolves the remaining claims stemming from the explosion at the Deepwater Horizon oil rig and subsequent spill that leaked millions of gallons of crude oil into the Gulf of Mexico. According to Reuters, BP&apos;s final settlement is the largest by a corporation in U.S. history. But there may be a strange silver lining to BP&apos;s massive penalty: Newsweek reports that, thanks to existing provisions in the U.S. tax code, BP can potentially write off these fines on the company&apos;s corporate taxes, unless expressly forbidden in the language that defines the scope and nature of the fine. "Typically that&apos;s indicated by the fine being called a &apos;penalty,&apos; meant to punish the company for wrongdoing," explains Newsweek&apos;s Zoe Schlanger. "If the language of the settlement describes the fine differently—as &apos;money to resolve claims,&apos; or money used for restoration, for example—the fine can be treated for tax purposes as a business expense." Companies can think of fines as business expenses unless explicitly stated to be otherwise. This may seem maddening, but it&apos;s perfectly legal—and not necessarily uncommon. The federal tax code allows businesses to deduct some of the cost of settling with state and federal agencies on their corporate tax returns. This was the case in 2014, when the Department of Justice levied a $16.65 billion fine on Bank of America over bogus mortgage-backed securities; according to the Wall Street Journal, Bank of America was able to write off some $4 billion in tax savings. The same thing happened with Citigroup&apos;s $7 billion settlement over mortgage securities earlier that year, as well as JPMorgan&apos;s $13 billion settlement with the government in 2013, which allowed the financial giant to write off some $7 billion. How is this possible? It&apos;s a quirk of the U.S. code pertaining to trade or business expenses, which states that "there shall be allowed as a deduction all the ordinary and necessary expenses paid or incurred during the taxable year," but "no deduction shall be allowed ... for any fine or similar penalty paid to a government for the violation of any law." This essentially means companies can think of fines as business expenses unless explicitly stated to be otherwise. We can see this logic at work in Attorney General Loretta Lynch&apos;s statement on the BP settlement, which cited Clean Water Act violations and damage to natural resources as explicit "penalties." As Newsweek notes, the use of "penalties" to describe the $5.5 billion in Clean Water Act violations means this portion of the settlement won&apos;t be available for write-off. This creates a skewed system of incentives for large corporations like BP or Bank of America to continue engaging in potentially risky behavior. But even with some careful language, the gray area between "settlements" and "expenses" is quite problematic. As the Wall Street Journal&apos;s Michael Rapoport noted during the Bank of America saga, the tax loophole "effectively shifts part of the settlement&apos;s burden to taxpayers, and some lawmakers and consumer advocates have expressed concerns that the public can be misled when regulators tout giant settlement amounts that companies aren&apos;t fully paying." These deductions, especially when they apply to big Wall Street firms, certainly undermine the Department of Justice; a 2014 Newsweek analysis suggests that the Department of Justice lost nearly $44 billion in tax deductions resulting from penalties levied since the beginning of the 2008 financial crisis. More importantly, this creates a skewed system of incentives for large corporations like BP or Bank of America to continue engaging in potentially risky behavior. It&apos;s not that the penalties are meaningless—the Reuters report on BP&apos;s latest settlement notes that it&apos;s unclear how the beleaguered oil conglomerate will actually fund its final settlement—but that the blow of civil or criminal action that&apos;s meant to deter such risky behavior can end up costing innocent taxpayers, rather than the companies that actually participated in the risky behavior. And it sends a message to big companies that you can screw up as much as you want and avoid excessive fines so long as you think of gross misconduct or irresponsible practices as a business expense. This line of reasoning, which encourage risky (and often troubling) behavior, has wracked the financial sector for the last decade. No penalty, especially one for damaging the lives and livelihood of millions of innocent Americans, should come with a silver lining—and especially not one that puts the burden back on taxpayers.